The following is Part 1 of a three-part series of selected presentations from the 35th Annual Scientific Meeting of the American Pain Society (APS) held May 11-14, 2016, in Austin, Texas, US. Also see Part 2 and Part 3. Although it may seem counterintuitive, evidence is accumulating that exercise may provide relief for people living with chronic pain. Now, evidence from an animal model suggests that it might also work as a pre-emptive shield to protect against subsequent neuropathic pain. The research comes from Peter Grace, working with Linda Watkins at the University of Colorado, Boulder, US. Grace presented the research on May 13 in a poster. The work was funded by an APS Future Leaders in Pain Research Award, which Grace received in 2014. The report is currently in press at Pain. In contrast to previous work that has tested the effects of exercise on established pain (see PRF related news), here the researchers investigated whether running could protect animals from pain after a nerve injury. Male rats were allowed free access to a running wheel in their home cage for six weeks. Interestingly, the rats increased how much they ran each week, starting with an average of about two kilometers the first week but running over 12 kilometers by the sixth week. The researchers then performed surgery for chronic constriction injury (CCI) to the sciatic nerve, a model of neuropathic pain. A group of control rats received the same CCI surgery but had access to a locked running wheel, and other control animals received sham surgery with or without access to a wheel. Both experimental and control groups given access to the wheel ran similar distances. By two weeks after the surgery, rats with CCI and a locked running wheel displayed a dramatically reduced withdrawal threshold to a poke from a von Frey hair, indicating that they had developed mechanical allodynia, a hallmark of neuropathic pain. Sham-operated rats showed very little reduction in withdrawal threshold compared to baseline. Rats that exercised before CCI, however, had a less dramatic reduction in threshold, suggesting a protective effect of running that lasted for three months after the injury. Exercise is thought to provide beneficial effects on pain through interactions with the immune system, so three days and 14 days after nerve injury, the researchers measured markers of macrophages and inflammation in the sciatic nerve and the dorsal root ganglia (DRG). 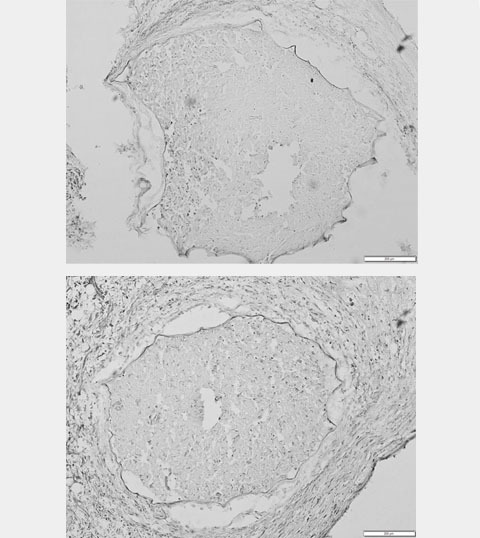 “When we looked at the tissue, macrophage infiltration was decreased in the running rats compared to animals with a locked running wheel,” Grace said, which indicated a reduced inflammatory response to the peripheral nerve injury. In support of that idea, a marker of neuronal damage called ATF3 was also lower in the exercised rats than in non-running controls in the DRG. In the dorsal spinal cord, markers of inflammatory signaling were also reduced two weeks after surgery, including the ATP receptor P2X4 and brain-derived neurotrophic factor (BDNF)—molecules that promote microglia-induced disinhibition in the spinal cord thought to contribute to neuropathic pain. Although the research was performed in rats, there may be a lesson for humans. “If you get injured and you’re at risk for chronic pain, if you’re in shape, the consequences may not be as severe. Exercise is protective,” Grace said.